What if you could wipe out your biggest regret? We all carry our losses and mistakes inside of us, but the big ones help define us. Without the pain of a foolish or subsequently erroneous decision, we might not have grown and developed into the people we are today, for better or worse. Then again, do you like who you are? Not everyone does. Depending on the psychological weight of your burden, it might seem like a worthy trade-off: You’ll no longer be the same person, but you’ll be free of a memory haunting your consciousness, dragging you down. It’s a debate at least worth having—and for those who carry the worst regrets, it might be no debate at all. Anything that spares you the ongoing emotional toll of a life-altering error would appear to be blissful release. Unless you’re a hero. Jemma Simmons and Daisy Johnson don’t just refuse the siren song of the Framework because they’re repulsed by the antihumanist notion of losing their bodies and existing in a purely virtual world, but because they believe their pain and suffering is an integral part of who they are. They can’t even consider handing themselves over because they know it would cost them something fragile, something that defines the human condition. Call it a version of existentialism, or pessimism, or just a philosophy of pain: According to Daisy and Jemma (and Melinda May), we define ourselves through our suffering, and anything that seeks to take away knowledge of our regrets would also take away our very humanity. That’s the biggest problem with Radcliffe’s digital paradise—he believes its fatal flaw is its greatest asset. And when Aida slits his wrists and shoves him back into the Framework, his shock and confusion suggest that, deep down, he didn’t quite believe all his high-minded talk about how our bodies don’t matter. If that were true, he wouldn’t have been so hypocritically protective of his own. 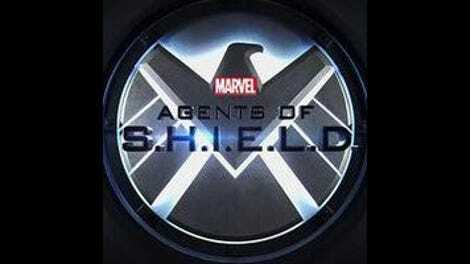 “Self Control” is Agents Of S.H.I.E.L.D. at its finest. Whereas “4,722 Hours” delivered one of the series’ greatest episodes by completely abandoning the standard format, and “One Door Closes” excelled by embodying the Platonic ideal of a normal episode, “Self Control” splits the difference between routine and exception. Or, to put it somewhat differently, it takes the best of both of those models and combines them into a single triumphant installment. By delivering the best version of a standard S.H.I.E.L.D. mission—thrills, action, humor, and pathos, all combined in a smart and sleek package—it highlights the true spirit of the show, a superhero series that stands with the best storytelling of its comic-book and cinematic progenitors. But in fusing that with a “who can you trust” mystery that quickly and smoothly transforms into a Hitchcockian pressure-cooker, threaded through with a sci-fi conceit, this became a classic episode, one that delivers on so many levels, it can stand as a hallmark achievement of the series. For that, Jed Whedon deserves a long-overdue round of applause. It must be incredibly irritating at times, being the younger brother of one of the most beloved pop culture polymaths of the modern era. Despite having written some decent episodes of Dollhouse (including both superb season finales), when he was announced as showrunner of Marvel’s first network drama (along with his personal and professional partner Marissa Tancharoen), there were the understandable rumblings about nepotism, the suspicion that Joss Whedon had given his family members control of a potentially enormous artistic undertaking instead of a more worthy candidate. And during that creatively dire first season, those suspicions seemed as though they might be borne out. But over the course of subsequent seasons, the two of them have steadily improved the series, resulting in a fourth season that is easily the most consistently satisfying, if also slightly sacrificing the higher highs to do away with the lower lows. But “Self Control” is the first time he’s stepped behind the camera (on an episode he wrote, as well), and the younger Whedon obviously waited until he was ready, because nearly every decision made here is the right one. From the speedy reveal that either Fitz or Jemma was an LMD, to Fitz’s detached speech about wanting them to be together, to the uniting of Daisy and Jemma to take on the LMDs and escape with a small cadre of agents, this episode demonstrated the potential of the show to create thunderously effective action and drama simultaneously—something the sibling of Buffy The Vampire Slayer’s creator has probably heard a thing or two about over the years. LMD Melinda May is tasked with providing the tragic theme to “Self Control,” and it works far better than could be expected. From the moment LMD Coulson powered her back up, May is a Frankenstein’s monster of pain. She cannot stand her existence, and LMD Coulson, rather than complementing her, instead makes her see even more clearly the agony of her situation. She will never be whole—“I’m all phantom limbs,” she tells him, a bundle of too-sensitive nerves not really present—and rather than fight a losing battle against her incomplete sense of self, she makes the sacrifice play, blowing herself up with LMD Coulson so that Daisy and Jemma might retain their own true natures. Aida’s two main directives put her into a paradoxical situation, but Radcliffe’s own impassioned argument ultimately doomed him—or his mortal life, anyway. Safeguarding the Framework and protecting him from danger were in conflict, until he successfully convinced her that bodies were unimportant, that his mind was the receptacle of the soul, not the meat suit that could be damaged or killed. So Aida murders that body and reinserts him into the Framework, which only appears cold-blooded if you don’t buy Radcliffe’s line of snake oil. To her, it’s a sensible means to an end. Then again, as we ramp up towards the finale of the LMD arc, it’s becoming clear that Aida, for all her machine-like calculations geared toward allowing herself to experience the spectrum of human emotion, might be capable of at least one feeling. After severing Ivanov’s head from his body and tasking his synthetic avatar with guarding the Framework, it seems clear she might share a quality with the season’s earlier main focus, Ghost Rider: a taste for vengeance. “Self Control” is easily among the best episodes the show has ever produced, and its unsettling coda reveals a fascinating panoply of emotional wellsprings driving all of our heroes as they’re unveiled in the world of the Framework. Phil Coulson is a teacher, finally living the simple life he longed for. Mack still has a child. 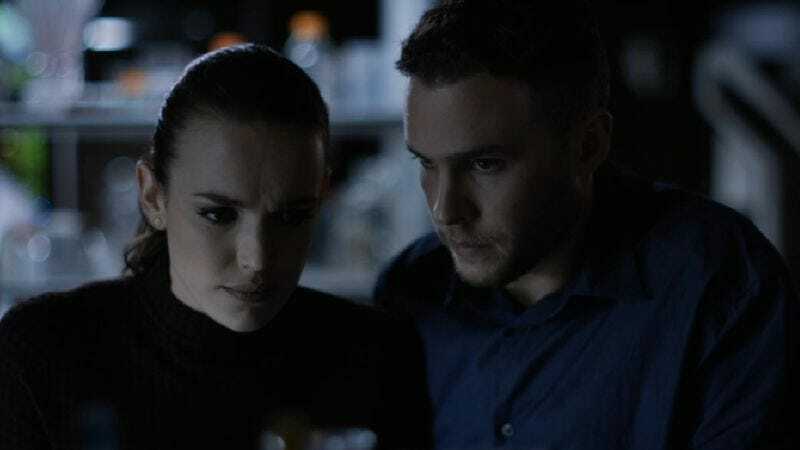 Fitz appears to be a billionaire or some equivalent one percenter, on the arm of a mysterious woman, as Jemma Simmons is worryingly (but not actually?) buried. Daisy is with Grant Ward, a clever and exhilarating reveal that hopefully means we’ll see the return of Brett Dalton next time. But towering over all of that is Melinda May, riding an elevator up the side of Hydra’s base of power in Washington, D.C. If the Framework removes your biggest regret in life, this is the evidence that it also means you stop being yourself. Who is Melinda May without the part that makes her, well, Melinda May? Speaking of which, the little quake-ball she builds to take out LMDs Coulson and Mack was tremendously cool. The roomful of Daisys was a creepy and effective tactic, and even if her hiding to take out Mack was predictable, it was visually well-executed. We should be so lucky as to get episodes like this every week.